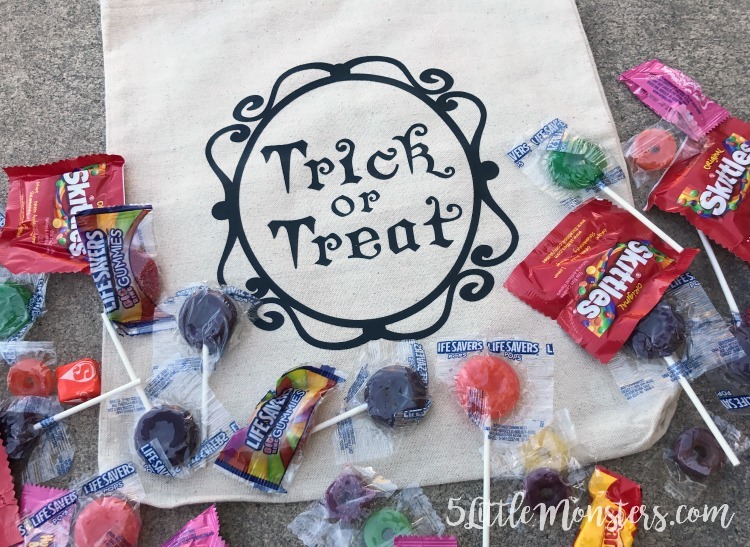 I have been making Trick or Treat bags for my kids and I had planned to share them over the course of a few days last week, but then life happened and I didn't get them up so I thought I would would just share them all together today. All three of these bags were made using canvas bags from Oriental Trading Company and designs that I cut out on my Cricut and ironed on. Two of them were made with basic black iron on and one was made with glitter iron on. My daughter calls this the mirror bag because she thinks it looks like a fancy mirror that says Trick or Treat on it. I just found an fancy oval frame and added the words Trick or Treat in a Halloween font. I used the natural colored canvas bag for this one (it is about 12" x 12") and black regular iron on. You can get the Design Space file here. You can find the Design Space file here. 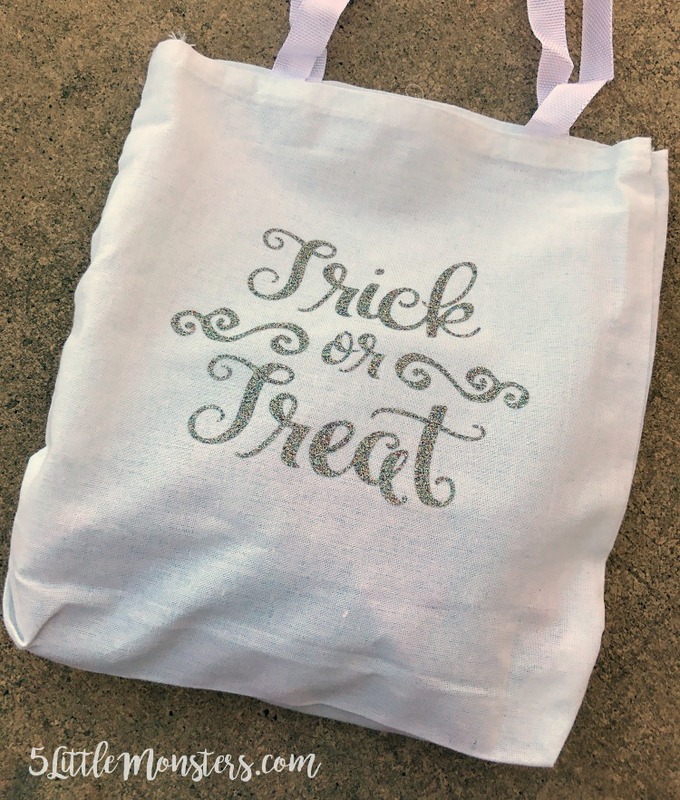 For this last bag I used used a white bag and some multicolored glitter vinyl. 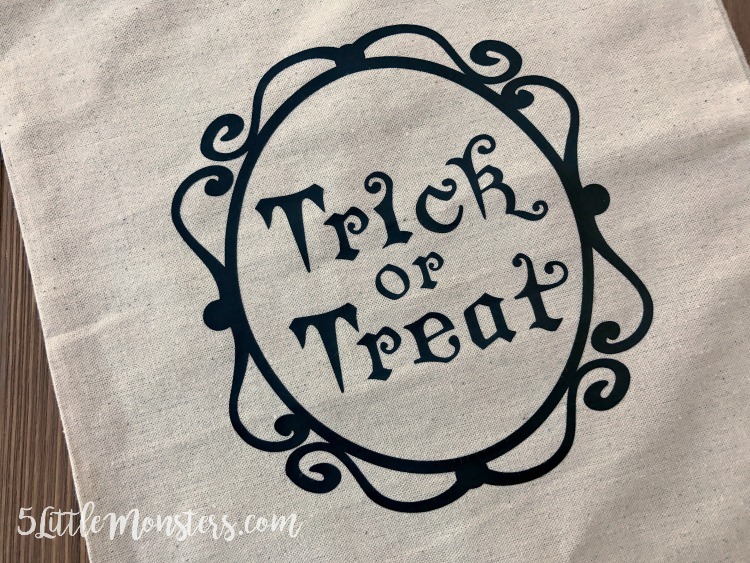 I typed up the words "Trick or Treat" in a fancy script font and added a couple of flourishes. I thought it would be fun to make one that was especially girly and sparkly. One of my girls is dressing up as a princess and this will be her trick or treat bag. You can find the design space file for this design here. 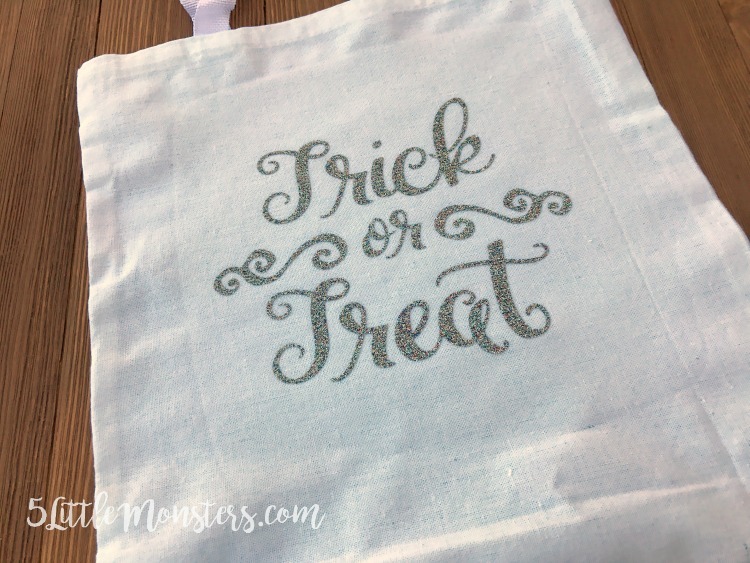 I made some trick or treat bags like this last year and I also shared another one a couple of weeks ago. 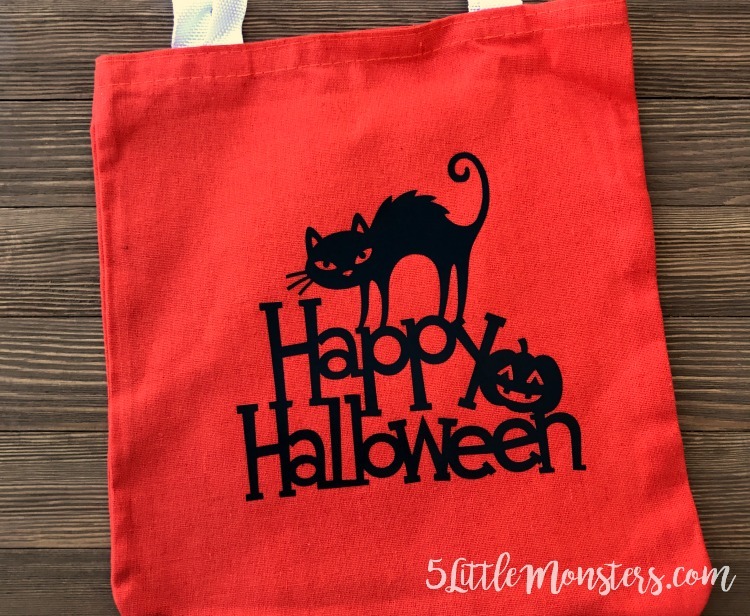 I like making them like this, using premade tote bags and iron on vinyl, because they are really easy and can be personalized for each kid. 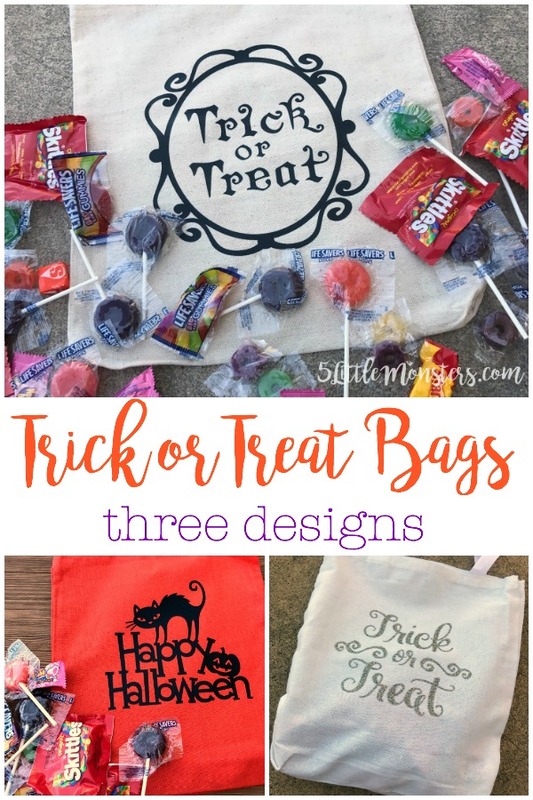 Whether you do the same design on different colors of bags or different designs on each bag it is quick and easy. 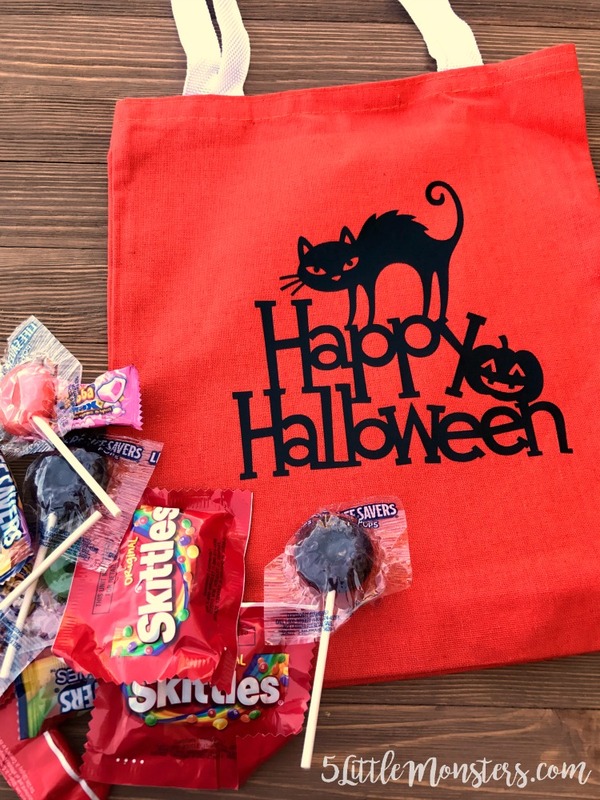 You can find lots of different colors of bags at Oriental Trading Company along with everything else you might need for Halloween. Super cute bags. I have had a roll of iron on vinyl for at least three years and can't seem to bring myself to use it. So odd, I know. Thanks for the inspiration, maybe this is just what I needed! !